Destiny, a video game about the eternal war between the players and developers of Destiny, has always been full of cheese. Over the past two years, Destiny's community has discovered all sorts of ways to manipulate the game and get new gear as quickly as possible. Rise of Iron is no exception. This week's new expansion brought with it a light cap bump (385) and some brand new methods for levelling. There's a weird quirk in Rise of Iron's new system: Encrypted blue engrams have a hard cap of 340, but decrypted blue engrams can drop up to at least 365. Because your overall light level is an average of all your gear, those decrypted blue engrams can boost you up pretty quickly. To get those valuable decrypted blues, you have to beat strike bosses. So as Destiny players prepare for today's raid, which recommends you hit 360 before starting, they're returning to an old cheese method: Omnigul farming. It's a simple trick: Your fireteam just has to run up to Omnigul at the bottom of the hill where she first appears and smash the hell out of her before she teleports away. If you kill her before she reaches the boss room, she'll drop gear but the strike won't end, so you can party-wipe and do it again. Over and over. Until your inventory is packed full of blue gear. 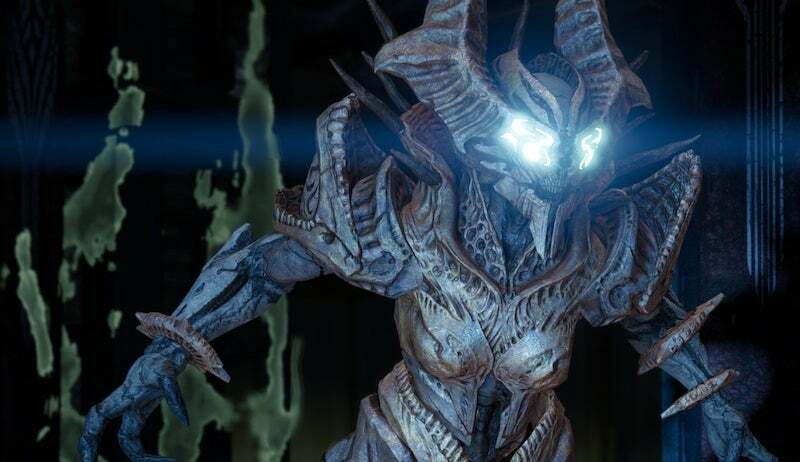 The raid went live at 3:00AM AEST today, so you have plenty of time this weekend to get in some Omnigul kills. Guarantee they'll patch the exploit before they fix any bugs with negative impact.